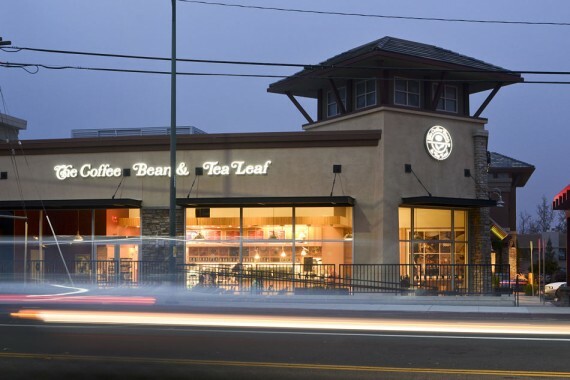 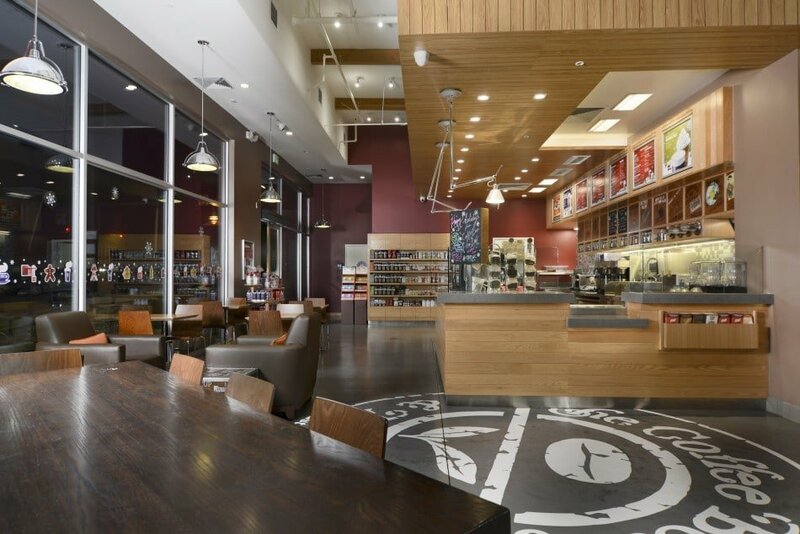 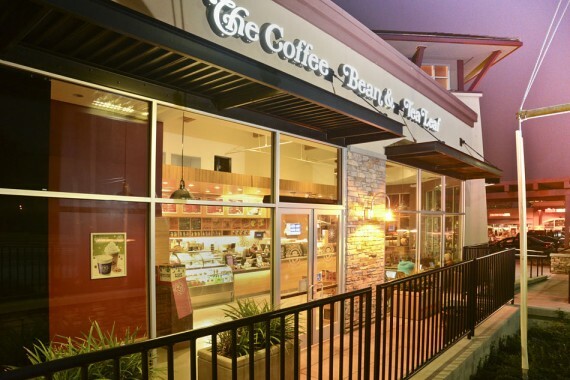 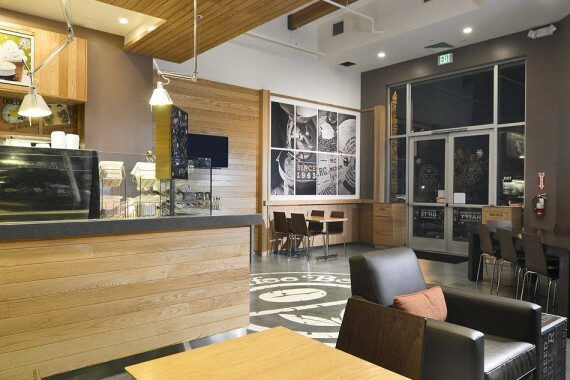 This Coffee Bean & Tea Leaf is located in Walnut Creek, CA in the Geary Marketplace. 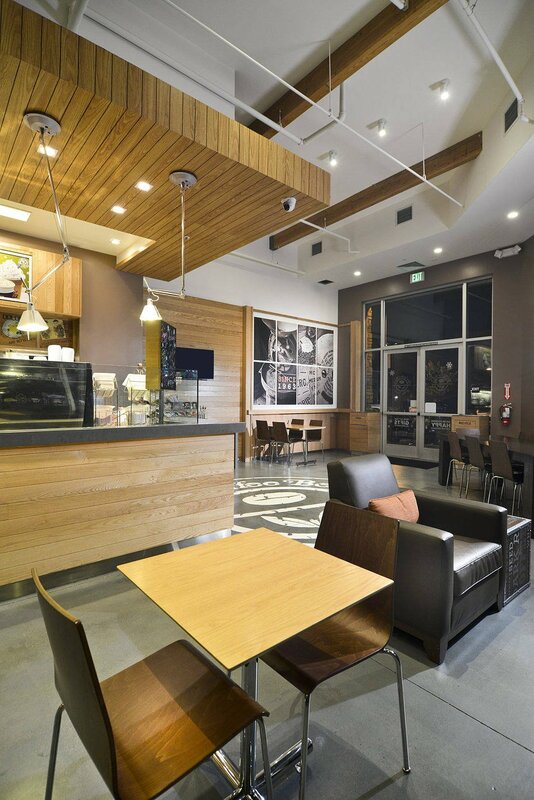 This is our second project with this coffeehouse. Although this is another Coffee Bean & Tea Leaf project, this location has a very different look than the Santa Clara store. 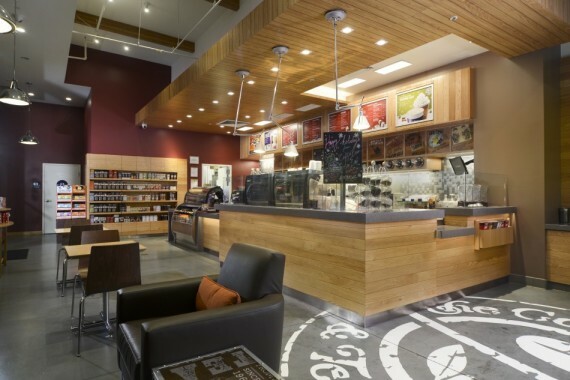 Upon entering, you will notice the Coffee Bean & Tea logo on the polished concrete floor. 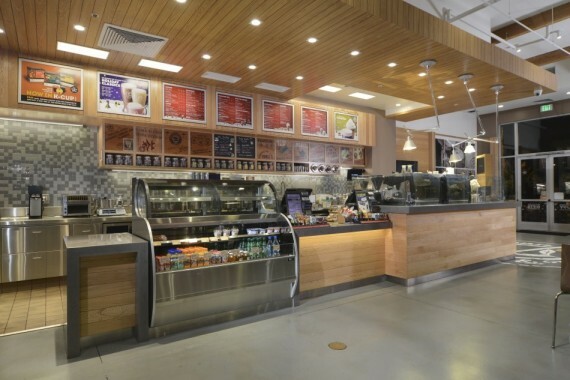 This shop is a perfect balance between the Mid-Century Modern vibe you get from the furniture and the modern fixtures. 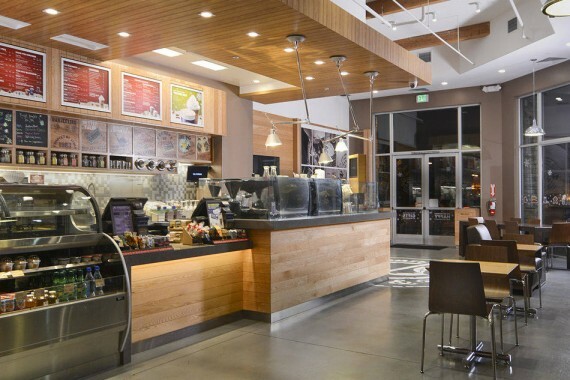 One of the most obvious differences between this and the Santa Clara store is the wood. 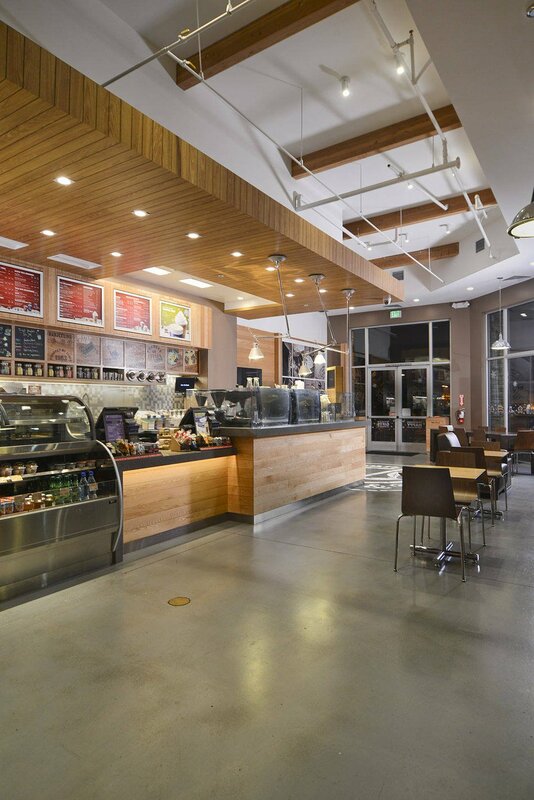 We installed modern hanging light fixtures. 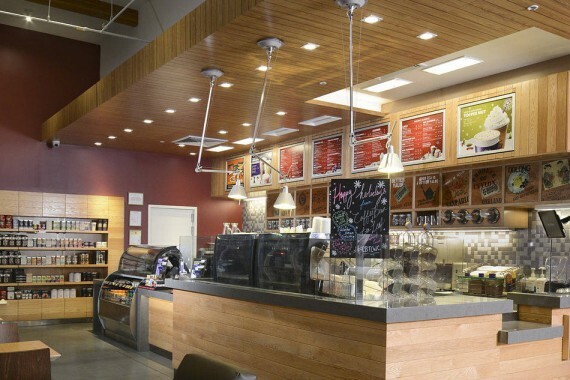 These fixtures posed a bit of a problem since they had to be lowered just right from the ceiling. 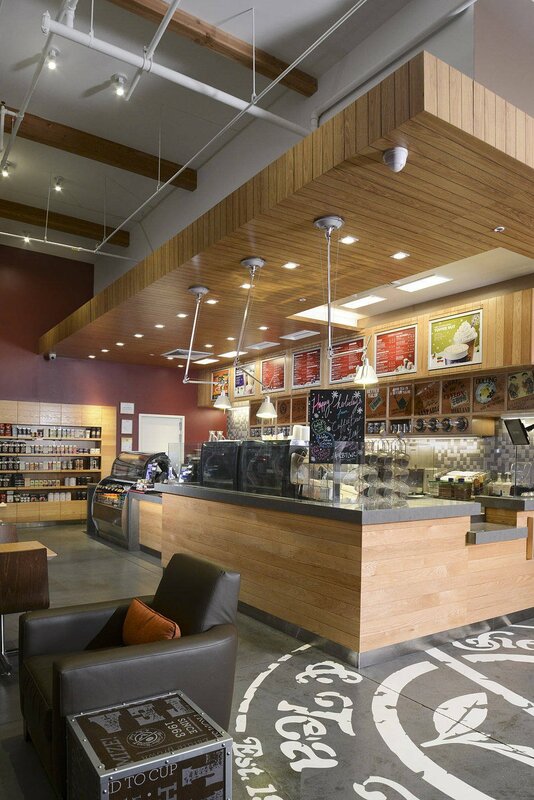 With the soffet ceiling, it was tricky to get the right height for the lights. 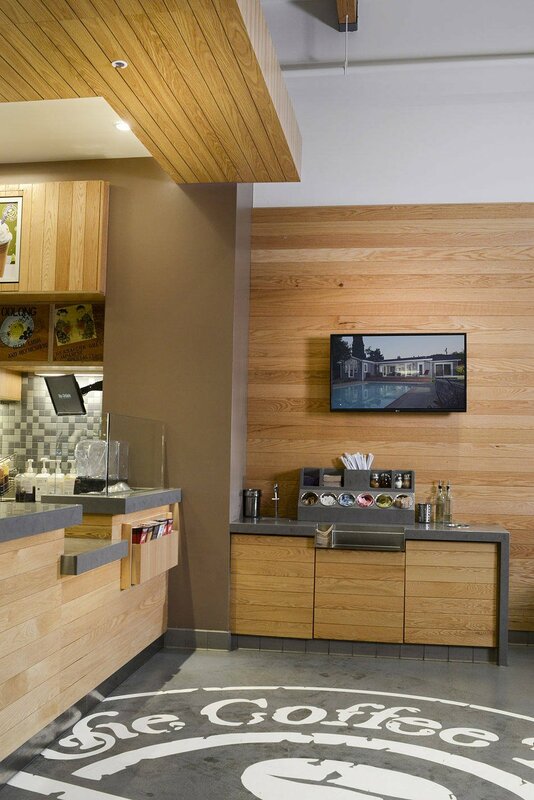 We also installed modern windows.